Earthy tones, weathered textures, and rich forest greens shadowed by a rocky cove. 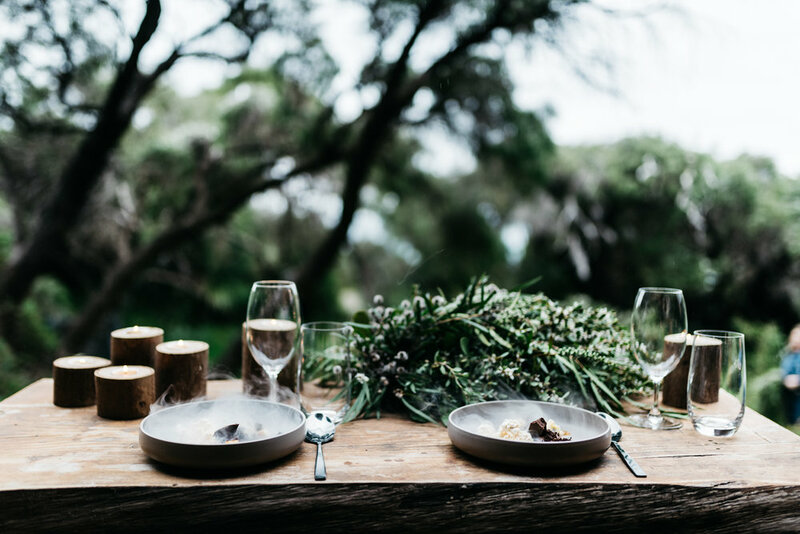 This was a pretty special setting for our styled shoot in Margaret River. In an ode to couples seeking a pared back, private wedding, this secluded space echoed a nostalgia for the Australia we love. Culinary guru George Cooper of Food by the Chef mesmerised us with billows of theatre in his dishes. 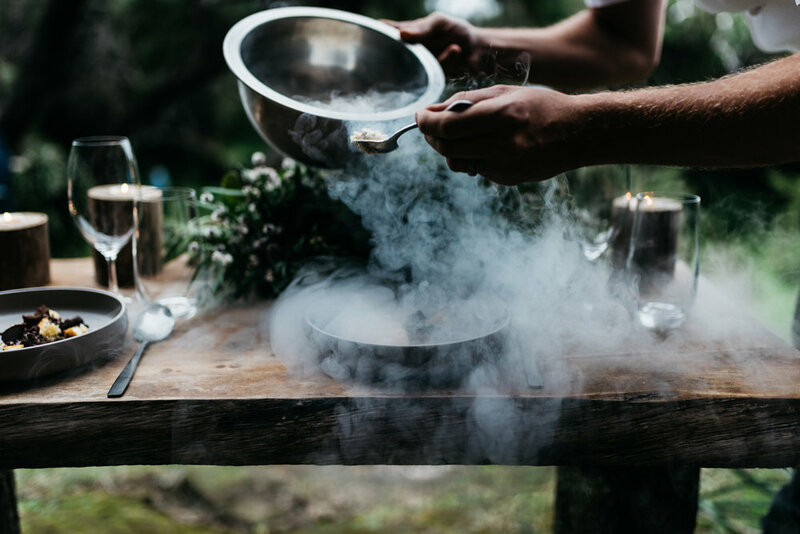 George is guided by nature and his artistic menus incorporate sustainable and seasonal produce. We couldn't agree more!